Miami Gardens Car Accident Lawyer - Auto Accident Lawyer | Dante Law Firm, P.A. Dante Law Firm | FREE Consultation, Call (305) 949-2526. Miami Gardens Car Accident Lawyer helping you get the compensation you deserve for your injuries. Florida Accident and Injury Lawyer. Millions Recovered for our clients. Fast and Easy. We start working for you from the moment you call. We start working for you from the moment you contact us. When an accident in Miami Gardens derails your life and causes you undue pain and suffering, you deserve to be compensated by the negligent party. After all, you and your family should not have to suffer through financial stress and hardships because of someone else’s mistake. At the Dante Law Firm, P.A., our Miami Gardens personal injury lawyers work tirelessly for all our injured clients and we fight aggressively to ensure that you receive the compensation you rightfully deserve. If you have been injured in Miami Gardens, or in nearby cities; Miami, North Miami, Aventura, Hallandale Beach, North Miami Beach or Opa-Locka, our personal injury law firm will assist you with the handling of your accident. Contact the Dante Law Firm to learn more about all of your legal options. Call us at 305-949-2526 today to discuss the facts surrounding your case. NEED MEDICAL TREATMENT! NEED YOUR CAR REPAIRED! NOT ABLE TO WORK! WE WILL ANSWER ALL YOUR QUESTIONS AND ADDRESS ALL YOUR CONCERNS! WE WILL START FIGHTING FOR YOUR RIGHTS IMMEDIATELY! YOU ARE COVERED UNDER OUR “NO RECOVERY — NO ATTORNEY FEE” PROMISE! PROTECTING YOUR RIGHTS AND GETTING YOU JUSTICE! CALL US, WE WILL GET YOU THE MAXIMUM COMPENSATION FOR YOUR INJURIES! Victor is always available to answer all my questions. He is very professional, courteous and I highly recommend him for any personal injury. COMPENSATORY DAMAGES WILL DETERMINE THE VALUE OF YOUR CASE! Car accidents in Miami Gardens can be minor fender-benders, or they can be so serious that they result in loss of life. In many cases they can also be avoided, but sometimes one driver causes a problem for another driver without much warning. There can also be medical events and mechanical failures to deal with, along with distracted drivers, road rage, and a host of other problems. With so many different things going on behind the wheel, and a lot of drivers simply not taking their responsibilities seriously enough, it’s not surprising that car accidents are a part of life on the roadways. The most common cause of car accidents is other drivers, and one of the biggest culprits is texting. That isn’t the only distraction, though. Eating and drinking behind the wheel, using a smartphone, looking for something that was dropped, and even talking to passengers can all lead to distracted driving that can cause an accident. The person who was injured may even need a car accident lawyer to help them sort things out and get fair treatment from the insurance company to get their car fixed and their medical bills paid. That’s a big part of why uninsured driving is illegal, because it doesn’t help protect other drivers. At the Dante Law Firm, P.A., we know just how dangerous Miami Gardens roads truly are because we are located in Miami Gardens on the corner of NE 164th Street and NE 19th Avenue. Our central location makes us an ideal choice for anyone who is injured in an accident in this city. 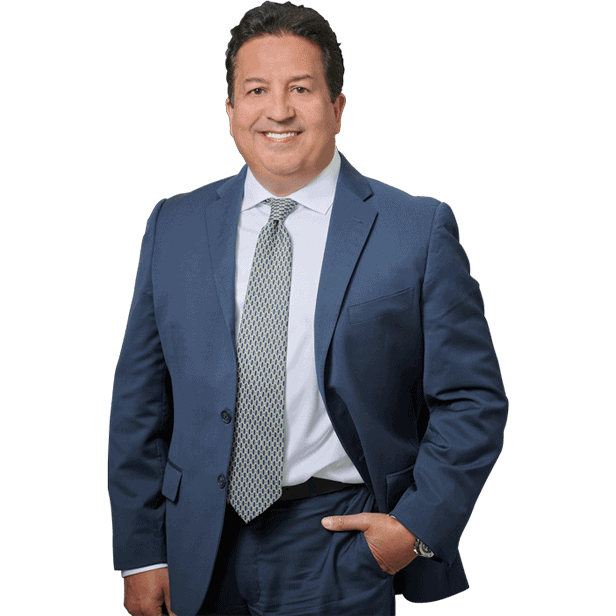 At the Dante Law Firm, P.A., we have over 25 years of experience winning personal injury cases throughout South Florida. We have secured millions of dollars for our clients and their families and we can get money for you too!